Home Guides The Trail Game: No House in Eden Falls? Here’s What to Do! The Trail Game: No House in Eden Falls? Here’s What to Do! 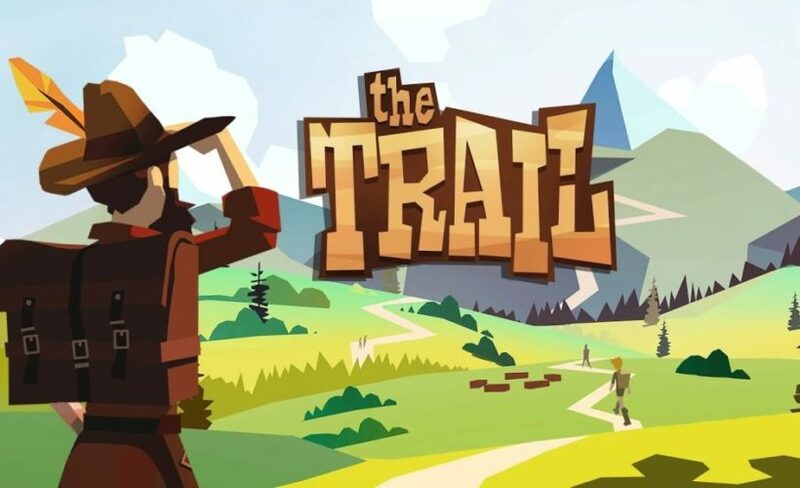 The Trail game is a brand new app from famed game designer Peter Molyneux and his studio 22 Cans, published by Kongregate. Fully titled The Trail: A Frontier Journey on iOS, the game has a really interesting premise, challenging you to follow a dangerous trail to the fictional Eden Falls city, where you will buy property, establish a business, get a family and so on. But as if getting there wasn’t difficult enough as you have to follow the trail for a long time and micromanage your limited inventory time, many people have a really unpleasant surprise when they reach their destination: Eden Falls appears to be full and there are no houses available! However, you shouldn’t panic as there is a nice fix for the missing housing options in The Trail: A Frontier Journey and we’re here to tell you what to do! When you reach the city, if there is no house for you to buy, all that you have to do is to open your character’s map by tapping the compass icon on the right and select the previous Camp you visited. From there, you will have to travel once again to your city in The Trail game, but once you reach the destination, you should now have a free house available for purchase. This little bug is usually caused by the fact that there are so many people playing this game currently that a ton of them reach the destination at the same time and you are just a fraction of a second too late. However, it’s not a game breaking bug and the fix I shared with you will resolve the problem. If you still can’t find a free house in Eden Falls in The Trail: A Frontier Journey after taking a trip back to your previous Camp (which is a checkpoint in the game), try again. But we never heard of anybody having to do this twice. And this is it! You can now finally enjoy your stay in the city – even if you won’t actually stay there for too long – and all the new options it brings. And congratulations for making it there as the Trail itself is long and dangerous. Do you have other game-related problems or questions regarding the city in The Trail game? Let us know by posting a comment below and we’ll gladly help! When I passed through Eden Falls there were no houses and so I didn’t know what to do so Ive continuued down the trail and have been for days (ACTUAL real time days) and realized now the compass button is just an information button and has disapeared. Now there’s no goal and there are tones of people walking with me stuck on this endless trail. I spent real money to get to Eden falls only to be stuck on this trail that doesn’t lead anywhere. Go to a camp and do it. I have been looking for eden falls and every time I look at my compass it says I am getting close but then nothing. I cant even find Eden Falls! How do you leave your house to find another one somewhere else? I don’t like the team I seem to be stuck with. They keep creating boxes with items they barely have anything of. Also, how come we can only purchase on locked cheat? I wish you could answer.. I reached a city but it is not eden falls…when I checked the map… it was same to everyone who commented up there.. I want to go beyond eden falls. How would I go about doing that? Go to the end of the town and click the sign that says leave. How do you switch houses/sell them to move to another town. I have been going back to the previous campfire and entering Eden falls for 3 REAL days now. There are always 2 empty plots, but when I attempt to purchase them it says plot already taken, or unable to buy plot. Try again. I love this game, but am about to give up on it. What can I do? Same here. Every time I try to buy a plot, it gives me the unable message. Even get it when it allows me to be a founder. I go back to the last few camp sites and same thing. What’s the point now? Glad to hear it’s not just me. Sorry to hear it’s ruining you too. 5 (real) days later and I don’t see a solution, which means I don’t see a purpose continuing playing. I have made a house in Eden falls but it seems I cannot teleport to the town directly, like you would at a campsite. Is this a bug or just an inconvenience? Every time I click on a building in the town it closes out the game. I have a house and I have upgraded it, but I can’t do anything else without the whole thing crashing. I keep trying to go back to the previous campsite, but there’s still not a empty plot (I’ve done this about 5 times). Help! If I want to leave the house I have in the game right now what do I do??? I am stuck. I can’t get in the boat because it costs 800 and I have 696 and if I go on the trail it only lets me go forward, to the boat. I need a traiding time because I have a whole bunch of stuff to traid but no trading time.